At a debate over the future of democracy in British Columbia, Premier John Horgan painted his opponent as being out of touch with the needs of 21st century voters. Opposition Leader Andrew Wilkinson accused the premier of selling the province a system with too many unknowns. A switch to proportional representation would invigorate voters and better represent their views, according to B.C. 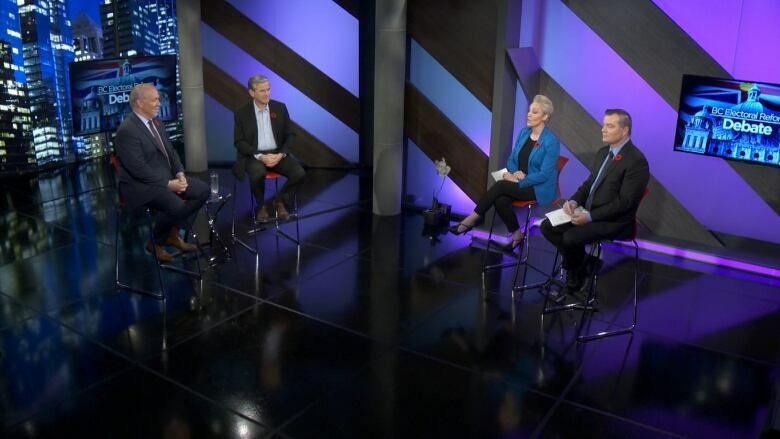 's premier, but the leader of the opposition says there are too many unknowns to make the leap. Those were the key arguments John Horgan and Andrew Wilkinson used Thursday night at a debate over proportional representation and the future of democracy in British Columbia. 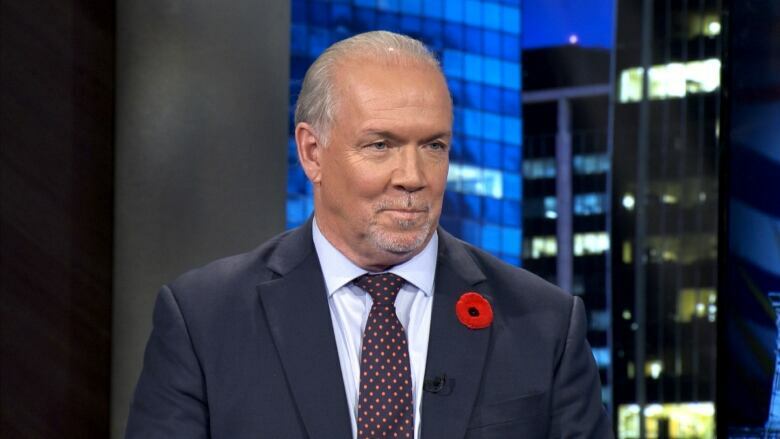 "Everywhere I go people tell me the electoral system isn't working for them," Horgan said in support of a switch to proportional representation. He has publicly said that he specifically supports a mixed-member proportional system. "This fall you have an opportunity to modernize the system." ​Wilkinson, on the other hand, favours keeping first-past-the-post. He said the process of switching systems has left too many questions unanswered. "This is not how we should be running our system," Wilkinson said. "Voting rights belong to you, the citizens of British Columbia, and it shouldn't be monkeyed with." British Columbians are in the midst of a mail-in referendum on whether to change their electoral system. There are three proportional representation options on offer as well as keeping the system exactly as it is today. Ballots must be returned to Elections BC by Nov. 30. Horgan spent the debate offering an optimistic vision of what proportional representation would do for voter engagement in B.C. He said many countries use some form of proportional representation to elect progressive, stable governments that work together. He said that's something voters want and attempted to paint Wilkinson as out of touch when he turned to some youthful slang. "Young people like the idea of working together," he said. "If you were woke you would know that pro rep is lit." According to Urban Dictionary, "woke" is "a reference to how people should be aware in current affairs" and "lit" means "intoxicated" or "exciting, fun, ... overly exciting." Wilkinson took a more serious tone, accusing his opponent of leaving voters in the dark about what voting would look like if the referendum favoured a new system. He repeatedly demanded answers from Horgan on many issues — even asking him how many votes each person would cast in an election — and Horgan often dodged the questions or said that specifics would be determined after the referendum. "This is not a card game where you write the rules. This is important," Wilkinson said. "People just want to know before they fill in that ballot: How many MLAs will I have? How many votes will I have? "Under the current system it's very clear." Fear mongering or dodging questions? After the debate, Horgan addressed the media where he accused his rival of fear mongering about the referendum's unknowns. He said he was frustrated at not having more time to discuss his preferred option. "Dozens and dozens of countries use different voting systems and it has not led to catastrophe," Horgan told a reporter. "I'm confident that people will look at the options and they'll say, 'I'm tired of not having my vote count.' 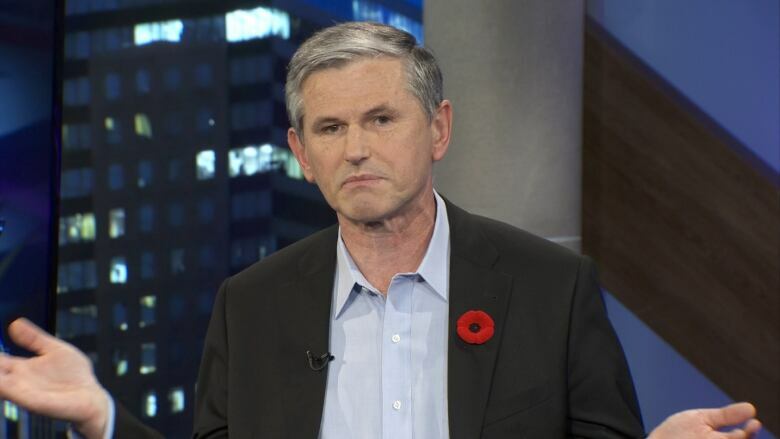 "
Wilkinson, when he faced the press, accused Horgan once again of not answering important questions. He denied that he was talking over Horgan or interrupting him excessively and said he was simply looking for answers to those questions.